Motorcycle racing is an extremely popular sport throughout the world. The thrill of race day is palpable in the air and the excitement is electric. The sound of revving motors and the crowd rooting for their favourite rider is almost unbearable, however, it is something that has to be seen and experienced to fully grasp the concept. There are different classes of motorcycle races, each with their own monstrous machines and riders who risk it all on the track. The Jerez Circuit is located in Southern Spain, Andalusia to be more precise. This is the location of the Spanish Motorcycle Grand Prix each year which attracts hundreds of thousands of motorcycle mad crowds to the region. The facilities are able to adequately accommodate 250 000 spectators. 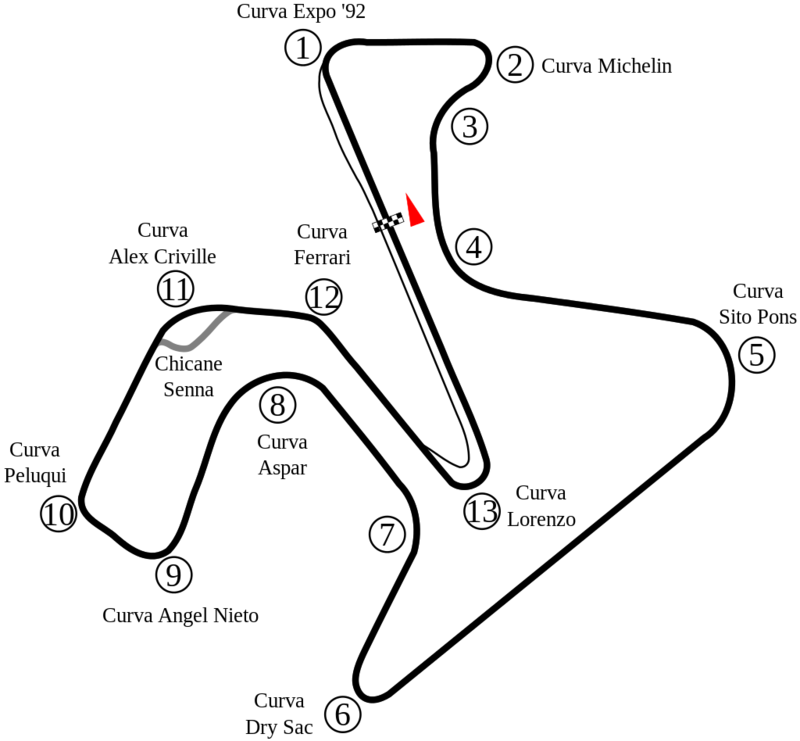 The race track spanning an area of 4.4 km and incorporates five left bends and eight right bends. The 607 m straight allows for an accumulation of speed to tremendous levels. The track is wide at 11 m, the perfect scenario for overtaking. Fast curves and heavy braking define the track completely. Race days in Spain are cause for excitement. Famous motorcycle riders flood the gates, ready to take on the track and their opponents, providing entertainment for the spectators. The track was built in 1986. 2002 Witnessed modifications to both the track and the facilities and in 2005 the entire surface of the track was redone. The new surface has created glassy smooth surfaces which do allow for grip. Runoff areas are prevalent throughout. This is a circui t renowned for the infamous hairpin bend that saw Valentino Rossi pass Gibernau in the final minutes of the Grand Prix in 2005. The track is technical in nature, emphasized by the many direction changes experienced by the riders. 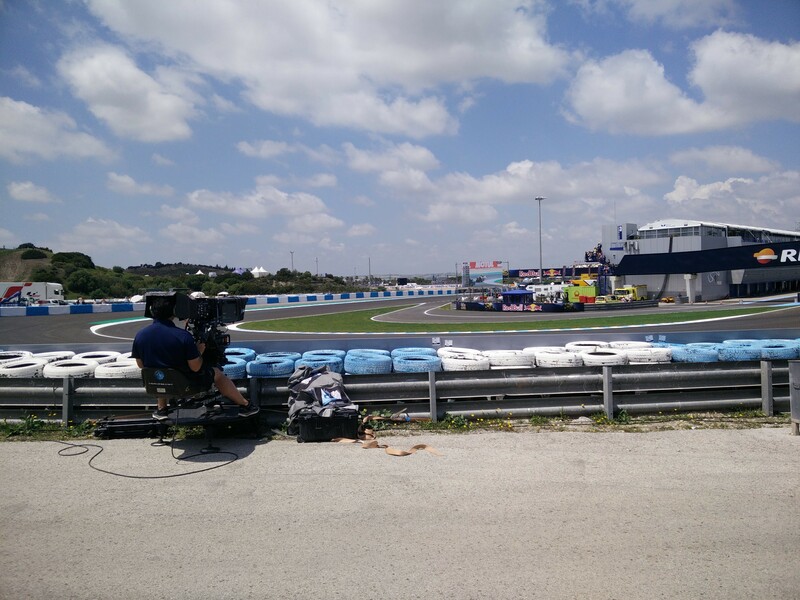 The area surrounding the Jerez Circuit is picturesque and adds to the charm and attraction of the venue. The Andalusian landscape is dotted with hills on which the grandstands are situated. This is the perfect scene for and the main reference point for a city that is passionate about the sport of motorcycle racing. What better way to spend the day than watching the masters on motorcycles and indulging in the natural environment provided by the beauty around the site? Spain is a place that draws tourists because of the heritage, history and beauty of the country, the addition of this spectacular circuit has put it high up on the list of must-see tourist destinations. The city itself is located a mere 45 minutes from Seville on the national motorway which connects it with Madrid, the capital of the country. The airport provides regular flights to a number of countries surrounding the region which include Madrid, Palma de Mallorca, Tenerife, Barcelona, and includes cities like Munich, Berlin, London, Brussels and Hamburg, among others. The use of rail and trains is extremely prevalent in Spain. Railways connect many cities and capital cities together. High-speed trains make the trip fast, efficient and a safe way to travel.